What are the best Law of Attraction books? The Law of Attraction has been written about for thousands of years. Plato wrote about it. The Bible mentions it. People today are still writing about it. 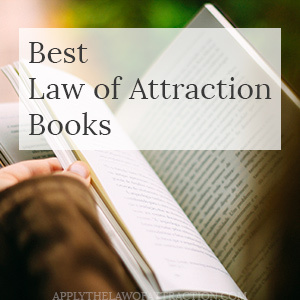 But what makes the best Law of Attraction books? Obviously, they need to help people get results. They need to be easy to understand. It'd be great if they could give you an ah-ha moment, like a lightbulb going on over your head as things finally click. 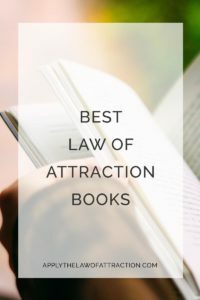 So to that effect, I've put together this list of what I think are the best Law of Attraction books to help you manifest all of your dreams. Love, Life, God: The Journey of Creation by Jarrad Hewett – This is one of the best Law of Attraction books I've read. It provides clear, in-depth explanation of how the Law of Attraction works, how to release resistance, and so much more. It will help you manifest your dreams. You can read my in-depth review of Love, Life God here. Ask and It Is Given by Abraham-Hicks – This powerful book gives you a lot of insights into the Law of Attraction. It will help you tap into the power of your emotions to regularly know what you are manifesting. Filled with fun and practical exercises, this book will get your creative juices flowing. The Neville Reader by Neville Goddard – Neville was one of the top Law of Attraction teachers of his time, and remains so today. The Neville Reader is a collection of 7 of his books. It's filled with inspiring success stories, clear how to instructions, and covers every area you can think of. It includes how Neville manifested a specific person and the story of a woman who did the same. The Wisdom of Florence Scoval Shinn – This is a great book for learning the Law of Attraction and how to read all the signs that occur when you're manifesting something. The Divine Matrix: Bridging Time, Space, Miracles, and Belief by Gregg Braden – From 1993 to 2000, groundbreaking experiments revealed that energy connects everything in our lives and our world. This energy is the Divine Matrix. The evidence shows that we can directly communicate with this energy to do everything from healing our bodies, having financial success, to creating world peace. The Map: To Our Responsive Universe – Where Dreams Really Do Come True! by Bonni Lonnsburry – This is a great guide to using the Law of Attraction to get the results you want. It includes exercises and a step-by-step guide to help you create your dream life. You can read my in-depth review of The Map here. Co-Creating at Its Best is a wonderful dialogue between Wayne Dyer and Abraham. It explains the ins and outs of using the Law of Attraction, giving great insight into how the Universe works. Highly recommended! Want a book that gives you step-by-step tools to help you create the reality you desire…while explaining quantum physics, biology and brain chemistry? This amazing book shows you what is truly possible and helps you apply what you learn to change any area of your life. Meeting Your Half Orange by Amy Spencer – This fantastic book uses the Law of Attraction to help you find your perfect other half. If you've been pessimistic about your love life or dating, it can help you find hope and can turn your dream of having the love relationship you want into reality. Its powerful exercises put you on the path to meeting your soulmate and having your happily ever after. The Soulmate Secret by Arielle Ford – This book will give you the secret recipe to calling in the one for you. It's inspiring, insightful, entertaining, and sure to produce results. The exercises within it provide you with a plan to draw your soulmate into your life. Manifesting Love: How to Use the Law of Attraction to Attract a Specific Person, Get Your Ex Back, and Have the Relationship of Your Dreams – This book explains how to manifest a relationship with a specific person that fulfills your every need and desire. It's filled with exercises and techniques to help you attract a specific person. The Honeymoon Effect: The Science of Creating Heaven on Earth by Bruce Lipton– This guide explains how to bring a loving relationship into your life or maintain one you already have. It contains strategies to help you connect in the best possible way. You can read my in-depth review here. The Abundance Book by John Randolph Price – This book can really help you transform your finances if you follow it. Law of Attraction and Money: How to Manifest Money and Get Rich…NOW! – This is a great book for learning to use the Law of Attraction for money. It's filled with exercises and easy-to-follow guides on everything from getting out of debt to finding a job to becoming a millionaire. The Science of Getting Rich by Wallace Wattles – This was the first book I ever read on the Law of Attraction. Reading it was like a lightbulb going off in my head, as I realized that what Wattles was describing was exactly what I had done my whole life to create my reality. The Gabriel Method: The Revolutionary DIET-FREE Way to Totally Transform Your Body – I first read this book many years ago. It's the first book I'm aware of to teach how to use the Law of Attraction weight loss. In it, you will learn how to change your thoughts so that you can change your body without dieting or suffering. Visualization for Weight Loss: Using Your Mind to Transform Your Body – Explains how to use visualization to transform your body without dieting. The Tapping Solution for Weight Loss and Body Confidence – This is a great book that shows you how to use tapping to eliminate emotional eating, cravings, low self-esteem, stress, and other factors causing extra weight and body issues. Visualization – The Power of Your Heart! by Carole Dore – This is a great program for understanding how the Law of Attraction is about your heart more than your mind. Just listening to this program causes things to happen in my life. It's that powerful! The Emergency Handbook For Getting Money FAST! by Carole Dore – Another program by Carole Dore that focuses specifically on using the Law of Attraction to get money quickly. She created this audio program after her book (with the same name) went out of print and used copies started to be sold on eBay for $3,200. This audio program was intended to make her book more affordable. I'll admit I'm not too thrilled with the narration, but the content is fantastic. Hi Leogirl – I suggest you use the information in the book you purchased. Don’t just discard it, implement it. It has worked for so many people. I want you to have the relationship you desire, and you may be able to if you implement the information. I cancelled that order since it was a kindle edition. Can you please guide me where to get the hardcopy of the book or if the kindle edition is the only way then pls guide me on how to access it. A hardcopy of the book is not available for sale in India at this time. It is only available in India as a kindle book at https://www.amazon.in/dp/B00AGKV59Y Instructions on how to read it without buying a kindle are available at the bottom of this article: How I Manifest Money Revealed. Thank you so much. I have got the book and read it. I went to several workshops to know how to visualize. Finally i found the answer. Thank you so much. I had a vision board, but like i said somewhere there was fear. Now i know how to use it. My breakup with him was worst with lot of yelling and complaining. He is scheduled to get married on october. Dont know how but deep down i know that we are meant to be together. And he is on his way to hold my hand. You’re welcome leogirl! I’m so glad it’s helped you. I wish you the best of luck! i am in a similar situation. did this work for u? Your book Manifesting Love: How to Use the Law of Attraction to Attract a Specific Person, Get Your Ex Back, and Have the Relationship of Your Dreams…is only in Kindle form? There’s no way to purchase it as a regular book? I don’t have a Kindle and I really want to read this book…please advise…thanks!